Urban households generally do not have sufficient space for a garden. They have to make do with keeping pots and planters on terraces or the balconies of their homes. It helps that any kind of plant, be it a perennial, a house plant, an annual, or a tree, can be grown in stone planters. While it is difficult to move plants that have been planted on the ground, plants in planters can be moved around for better sun position or for protection from excess rain. Planters come in different shapes and sizes. They can be placed indoors or outdoors, they can be hung, or placed on a high surface. Mounted planters made of wood are ideal for the living room space and can give the impression of entering a woody area. 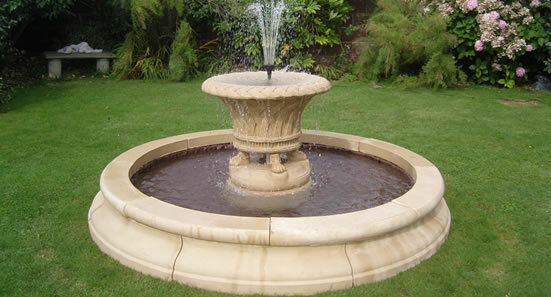 Planters made of clay are the most common and the most affordable, however, they tend to break if handled carelessly. Plastic pots can be spray painted in the colors of your choice. 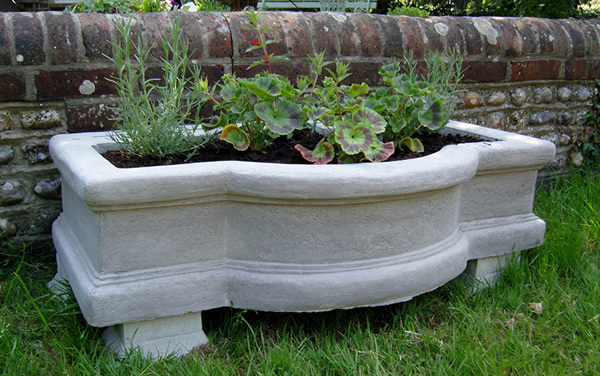 Stone garden planters are solid and last forever, however, they are difficult to move around. Wooden planters have to be treated with preservative or they could deteriorate over time. The advantage of using stone planters is that the planters can be moved around at times when the plants are in bloom and kept in the background at other times. The soil can be adjusted to suit different types of plants. Plants in planters have to be watered and given fertilizers regularly for them to thrive. Watering may be needed more often if the soil is found to be too dry. There should be holes or gravel below the soil for sufficient drainage. The size of the stone garden planters will also vary depending on what type of plants you plan to plant in them, whether they are shallow rooted or deep rooted. Buddha statues are being incorporated into homes as part of home décor by interior decorators. 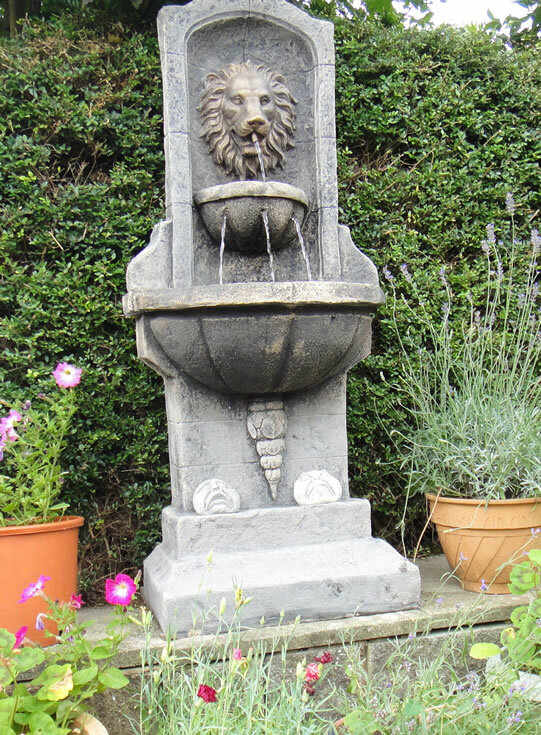 Garden stores and manufacturers supply statues that can be used in the gardens or placed inside homes. 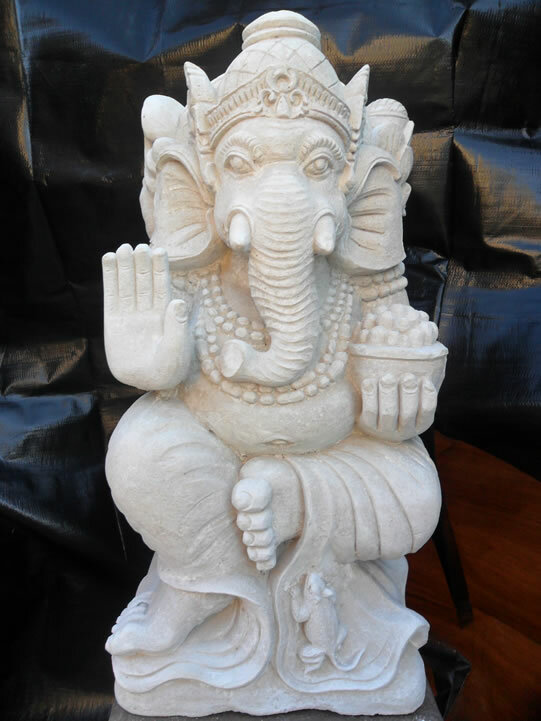 These statues are made to suit different budgets and are made of different materials. Statues that are going to be placed outside are made of stone or metal. Buddha statues also come in different poses and styles. It is better for a person who wants to invest in a statue to find out what it is all about before going ahead with the purchase. 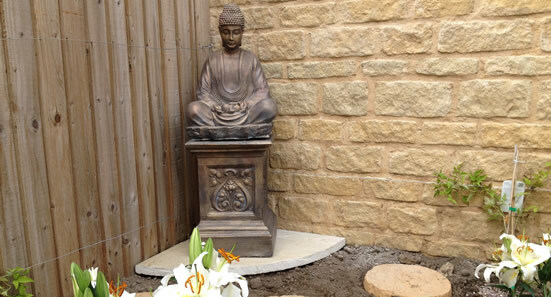 Feng shui uses Buddha statues for the movement of chi energy throughout the homes and the gardens. They have a lot of regulations on how exactly the statue has to be placed to promote positivity in the home. It is considered disrespectful to place it directly in the bathroom or on the grounds outside. If placed in the bedroom it has to be kept in a cupboard so that the doors can be closed when the person is not in prayer. If placed in rooms inside the home or in the garden, it has to be placed facing the room. However if it is going to be used for the entrance, then it should be placed to face the entrance. 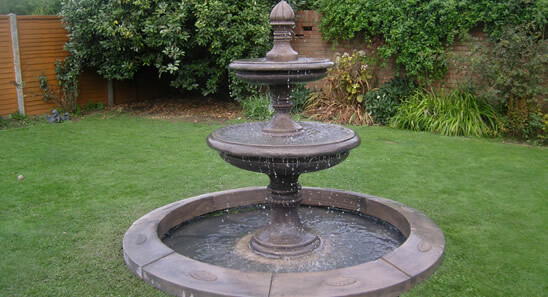 Garden supply stores supplies statues of different colors to suit your décor. They also have Buddha fountains for the garden. The different poses of Buddha statues that are popular are the meditating Buddha, the laughing Buddha, the traveling Buddha, laughing Buddha with children at his feet, Blessing Buddha, Teaching Buddha, Long Life Buddha, Reclining Buddha, Happy Home Buddha, and Earth Buddha amongst others. Your choice of Buddha statue will depend upon the weak areas of your life that you need strengthened.